PBN Hosting - Which is the Best Solution? PBN hosting is a huge topic amongst SEOs these days. With recent news of a major SEO hosting company experiencing a spree of deindexes, many SEOs are looking for more safer solutions. As they should be. Assuming that your PBNs don’t have footprints, the #1 factor when it comes to PBN deindexes is hosting (more on this later). You may be wondering what types of hosting options are available and how to chose the right one. I’m here to tell you that I have either used or scrutinized most of the popular solutions available today and will share my experience with each. First, I’d like to state that an SEO who maintains a PBN will likely judge a hosting service a little differently than the average webmaster. My opinion is that the single most important criteria on which to judge a web hosting service is its ability to minimize the risk of de-indexes. Period. While convenience and cost-reduction are certainly concerns in our business, this article is aimed for SEO’s that are looking for a hosting solution that will last for years and years. Is it possible to pass a manual review? Is it possible to recover a de-indexed domain and use it for productive SEO? Sure, but the advice shared in this post will give you the best chance to avoid the situation altogether. How does my choice of web hosting lead to getting flagged for manual review? Two words: bad neighborhood. In the context of hosting a PBN, a bad neighborhood refers to having other PBNs, thin-content sites, or sites that in any way violate webmaster guidelines, on the same shared IP address. For a very high percentage of sites that experience de-indexing, the cause is being on an IP with bad neighbors. How do I know? I have a personal network that I use for testing. This network uses a variety of different hosting solutions (cheap hosts, SEO hosting, dedicated servers, and premium hosts). I host multiple PBNs on the same IPs, because these PBN’s never link to the same money site. Time and time again, when there’s a deindex, it’s not one PBN that gets deindexed… all PBNs on the same IP get deindexed. The only thing in common is the IP. My team and I have carefully looked at a multitude of factors including: hosting, IP addresses, DNS, content freshness, duplicate content, incorrect grammar, topic relevancy, backlink profiles, out-bound link profiles, and even WordPress plugin footprints. The biggest commonality that we found with de-indexed sites was that they were hosted on an IP address with a large number of other PBNs. How do I know if I am in a bad neighborhood? Let’s define a score “IP Danger Level” (IDL) score as the percentage of deindexed sites we see on a given IP. Anything over 30% should be considered risky. Check out some of the IDLs from the IPs on cheap hosts. Risk factor = ridic. Let’s take a look at the most popular hosting solutions, and how they measure up. Cheap hosting is always structured as a “shared” hosting solution with many other domains on the same IP. Therefore, you shouldn’t be surprised to know that many of your IP address neighbors will in-fact be other PBNs. An important detail to note about this case is that two different cheap-hosting resellers were using the same IP to host the two PBNs. Simply using a different hosting company for each PBN is not going to get you a new IP. The goal of SEO hosting is to make it easy to host a large number of domains in one account. Under the same dashboard, you can assign different c-class IP addresses to each of your domains. As you may already know, this is an important feature to many PBN operators because having multiple domains from the same IP address linking to the same money site would be an obvious footprint and a big no-no. The problem with SEO hosting is that everyone knows it’s SEO hosting. It’s advertized that way, for crying out loud. Therefore, it’s easy to assume that the IP addresses used are easy targets when identified by Google. To add to the problem, the IP addresses are still shared, so we’re back to the same problem of having bad neighbors. Clearly, SEO hosting does not adequately solve the problem of bad neighbors, but in fact it almost guarantees that you’re going to be hosted next to web spam. Not sure if your SEO hosting solution is risky or not? Look at the data. Simply run an IDL check and take a look at the sites on your IP. One of the more recently popular solutions we have seen for web hosting is the use of a virtual private dedicated server (VPS) in combination with IP address cloaking techniques such as the use of content delivery networks (CDNs) and an IP address provider like RocketIPs. Initially this seems like a great way to host a large network of sites for an extremely low cost. The theory is to host a large PBN on one VPS ($49/month), then route the IP addresses of each domain ($0.50 per IP/month) through a different service to make them appear to come from various IPs and locations. In this , I took a look at some of the IP addresses delivered by RocketIPs. I found that the percentage of de-indexed domains were acceptable (IDL=28.6%) for some IPs and unacceptable for others (IDL=84.6%). As a further investigation, I evaluated the quality of the sites that were still indexed, optimistically hoping to find a mix of so-called legitimate domains. What I found was that the majority of these sites were of low quality and could be easily considered in violation of Google’s webmaster guidelines. My conclusion: It’s only a matter of time before the shared IPs distributed by RocketIPs become even more populated with PBNs. If a solution is talked about by SEOs, especially on the forums or Facebook groups, it’s a timebomb waiting to explode. Suggestion: if you find a good IP provider, keep it to yourself. So if having bad neighbors is so important to avoid, why not have dedicated servers for my domains? Having dedicated servers and thus dedicated IP addresses for each domain may be a reasonable solution for your most high powered and valuable PBN sites, but just isn’t practical for hosting a large network. The cost of dedicated servers and the limited availability of IP addresses will destroy the ROI of having a PBN. Dedicated servers, as a solution, is simply unscalable and is a footprint nonetheless. 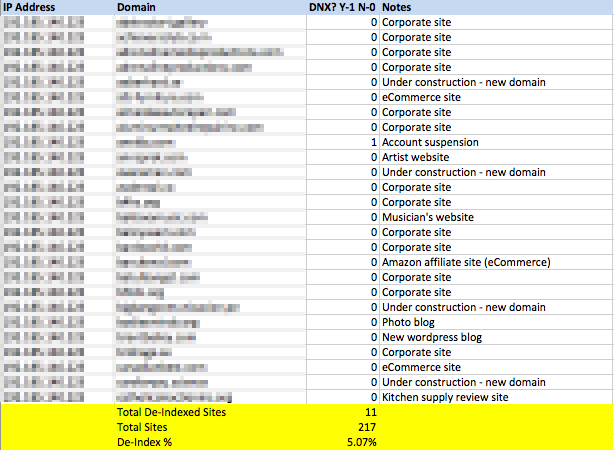 Imagine how that looks if 100% of a money site’s referring domains are all on their own IPs. Since I’ve made the move to premium hosting, I’ve never looked back. All of my test sites on the premium hosts have never had a deindex and the downtime issues that plague other solutions are a thing of the past. The best way to protect your PBN site is to blend in amongst the millions of legitimate sites on the web by using the most common top-tier hosts. Hosts that real businesses use. I am referring to these commonly used hosts as “premium” because they are well-known hosting companies like Hostgator, Bluehost, etc. Perform research to come up with a breakdown of which hosting companies are the most widely adopted on the net. Make sure that the hosts have services that are critical to your flow. Eg. Linux servers, wordpress support, shared IPs, allows multiple domains, cPanel support, Paypal payment, served in the geo-location you prefer, etc. Make sure that the costs are within your budget. Based on these factors, come up with a distribution of how you’d like to spread out your hosting. FREE BONUS: Get Access to My "Top 10 Best PBN Hosts"
Getting approved for premium hosting accounts can be more difficult than what you’re used to. Easy Blog Networks (EBN) is a solution that many people are adopting because of their ability to get you on the same IPs that the normal businesses use (Amazon, Rackspace, etc). They also have features like automatic IP assignment and uptime monitors which make it nice for SEOs. I personally haven’t tried this solution as my general modus operandi is to avoid doing what other SEOs do, but to each their own. Use multiple hosts and multiple hosting accounts. Getting reseller accounts is ideal if you have a large network. This is important because you want a different shared IP address for each domain to avoid footprints when linking to your money sites. The distribution of which hosts you use should mimic the rest of the internet. Just as in the point above, if you were to link to one money site from 100% Go Daddy-hosted sites, that’s certainly a footprint. Mix it up. Remember to avoid who.is footprints. Sure, premium hosting requires more planning, but if you want a solution that will last you into 2019 and beyond, then this is it. In using premium hosts are you saying that you can put more than one website on a hosting account provided that sites from the same IP don’t link to your money site? I’d love to get premium hosting and take full advantage of it with multiple domains … but what would that linking structure look like and how would that work? Being new at PBNs I think a simple external linking structure between domains to maximize premium hosting value would be a great article. Simply don’t link to the same money site from more than one domain on a single IP. Easy breezy. Cheap hosts will usually have a wide range of domains with PBNs being only a small percent. It would almost be impossible for Google to penalize the host’s IP in this situation as that would create too much collateral damage. This sort of ban where the whole IP gets blacklisted can happen usually only on SEO host IP. They don’t have to ban the IP. Only automatically flag it for manual inspection, which gets the right sites banned. Everyone keeps worrying about manual inspections but I wonder how often they really happen. Even if a manual review does happen, these cheap hosts have 100s of sites on each IP. If you put a little bit of effort into the PBN site, it would be pretty difficult to tell the difference between that and a legitimate crappy blog. Extremely useful advice as always, Matt. I just did the reverse IP trick and see I’ve got some work to do. Thanks for the intelligent and profit-retaining post. Shocking, once you take a look, eh? Yep. With one host I seem to be completely surrounded by spam. Real nice article Matt. Have been going with the premium hosts myself recently and your data just makes me certain I’m heading in the right direction. If one host has IP 11.22.33.44 and another has IP 11.22.88.99, will the links to the money site have diminishing returns since the IPs are close? Or is other words, is B-class IP differentiation good enough? You can get away with this once or twice as this is a completely possible situation in the real world. Have you ever used Heroku, Matt? We’ve hosted our own sites there with some huge success. Can’t say that I have, Jesse. Great post I must say, it really highlights the importance of hosting when building a PBN for the long term! I was wondering if you’re also using any type of automation system to drip new content on your PBN. Do you think it’s necessary to regularly update our PBNs with fresh content, and would it strengthen the links from them if we did so? Hi Avi. I have a system to drop fresh content onto PBNs, indeed. I think its necessary to keep them updated in order to prevent deindexing, but it won’t do much to strengthen the links on them. about the fresh content, is it unique articles manually written and manually posted, or intelligently using combination of spin softwares like spin rewriter, wordai combining with wprobot plugin or similar plugin to post in regular interval. any words limit you follow for fresh content like between 300-1000 words randomly everytime you post fresh content. how many times in a week/month to post fresh content. sorry about lot of questions. i am about to setup my first set of 5 PBNs. your input will really help. Manual high quality all the way. Great point Arnold, but what about dealing with support in a foreign language or do you pick hosts that already offer English as an alternative language support? Hey Matt good read! I’m going to share this with some of the staff. Cheers. That’s an eye opener Matt, I always speculated what’s the #1 thing that causes PBN sites to be deindexed. I finally got my answer. Anyway I wanted to ask if the old way of building all of our PBN on wordpress with full posts on the frontpage is still the best way? Also, I read your post about sending social signals to PBN and it’s a great case study. What else can we do to extract more juice out of our PBN? Thanks man, your content rocks. Anyway I wanted to ask if the old way of building all of our PBN on wordpress with full posts on the frontpage is still the best way? Mix it up. Some should have static homepages. Also, I read your post about sending social signals to PBN and it’s a great case study. What else can we do to extract more juice out of our PBN? If we’re talking about 80-20, then spend more time finding quality PBNs, than trying to boost existing ones. I was wondering how many sites I can host per 1 hosting account if I link to the same $$$ site from all PBN sites? I know that each site should have unique IP, but how about hosting 2-4 sites per 1 premium account and then “hide” all except one with cloudflare or something like that? Do you create various hosting accounts within 1 provider? Like 5 separate accounts for Hostgator, 4 for Blue Host etc? How do you handle that? I’ve never tried any of these shenanigans so I can’t comment. I recommend just doing things the right way, 1 referring domain per IP, then you’ll have the peace of mind and headspace necessary to focus on the money making parts of SEO. Rather than the money-saving parts of SEO. Sure do. These companies don’t care if you open 200 accounts. More money for them. So that would mean that you could host 10, 20, 30, .. domains on the same hosting account as long as you never link to the same money site from 2 sites that are on the same account, right? So for example 1 hosting account, 50 PBN sites and each links out to 1 different money site and they don’t interlink or ever link to the same money site. (50 is obviously an exaggerated number to make a point). Straight gold again, Matt. Love it and love ya. Thanks! So would the ultimate combo then be premium hosts and paying for a dedicated IP. Sure the cost would build quick but if your sites are profiting it would be a long term security measure. Yup. That’s how I’m doing it. Add-ons are going to be placed on the same IP. As long as you’re not linking to the same money site from your add-ons, then you’re fine. So does this mean that google can’t tell that a domain is an add on domain to another? I’m worried about google associating all my sites together and hubby tells me it’s easy to see this. Google can see that they’re on the same IP if its an add on. But who cares if they’re not linking to the same money site? Don’t worry. Your billing information is not available to the public. Might want to check your SOA records though. The premium hosts often never use your contact information in the SOA, but its best to double check. Hi Matt, I have handful of PBN sites sitting on SEO Hosting but masked with CloudFl… do you think G+ can see through the real IP ? If you were me, would you move it to a safer host and keep CloudFlare? That’s up for debate: whether or not google can trace through CF. Personally, I think you’re fine, as long as you only have a certain % of links coming from CF sites… rather than 100%. If I buy reseller account, Do I get access to multiple shared ips in the hosts on the graph? You get one reseller account per host. How do you feel about the idea of getting a reseller account with a hosting company with plenty of datacenters and servers? To me it seems like a decent idea if you can’t or won’t spend the money on premium hosting. I’m all about the reseller accounts, but premium hosts only. Hey Matt, you hit the nail on that one. One question about the reseller accounts, do you get a different IP each time you add a new site? If yes, is it on the same class-C subnet or on a totally different class A/B? One more thing, when using this strategy do you think it’s still necessary to go the distance with designing our pbn for manual reviews? WHen you setup a new site they give you a random IP address. If its a repeat, then you just cancel that install and try again. Usually they’re varied on the B or C level. And yes, definitely still go the distance when designing your PBNs. Hey Matt great post as always, one question though what do you mean by avoid who.is footprints. Check out Daryl Rosser’s lionzeal.com. There’s tons of resources there on how to setup a PBN and avoid footprints. I just signed up for a $2 a month host before reading your article. Checked out the sites on it and about 80% are spam! Cancelling that thing right now and never going back. Thank you Matt! Thanks for the information, I have a doubt about the expired domain, should we buy domain which is de-indexed? As it might because the domain is too old and not in a use from so long and that’s why Google de-indexed it from the data-base. So, should we buy the de-indexed with a good metrics (DA, PA, CF, TF)? with the purpose to re-index them or we should completely ignore them? De-indexed domains are fine to purchase. The question is when they can be used after they’re indexed again. I’m currently testing them right now. Matt, where do you usually get your PBN domains from? Godaddy auction/closeout, or backorder? so I’m sure before i start anything, i should open a new hosting account per site i want to host? Surely that would become very costly? If you have multiple money sites, you can put multiple PBNs on the same account/IP. Just make sure that two PBNs on the same IP don’t link to the same money site. What if you have two money sites on a single IP. Would you link from two different PBNs on a single IP to the two money sites? 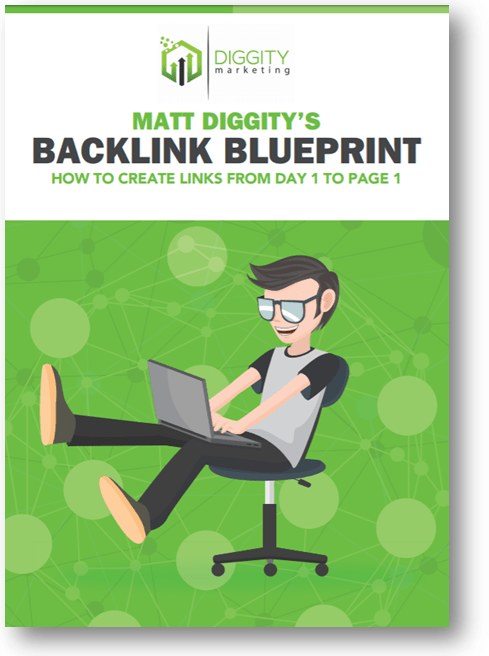 Craig I have some websites that have 140 backlinks from individual (140 different PBNs). Do you create 140 different hosting accounts in this situation. Just seems like a lot. Yup. And you can save money if you put multiple PBNs on the same hosting account/IP, as long as they don’t ever link to the same money sites. Sorry, don’t know why I said Craig. Are you willing to share how you keep track of all your efforts? I use excel but I feel like there has got to be a better way out there. I’d love to help but my PBN management XLS is 32 columns wide and isn’t feasible to share. Matt wonderful post as always.. Don’t know how it took me so long to see this amazing post. I have a question though – I can see that this process is for guys who have multiple PBNs and money sites. What do you recommend for only one Money site with 5-10 pbns. Because creating hosting account for every pbn adds up to a big total. How should hosting be planned?? Honestly. I’d do it exactly the same way as I outlined, even if you only have 1 money site. The margins in our business are amazing. Hosting 10 PBNs at $5/month each will be $50/month. You should be able to net more than that with 10 PBNs. Do things the right way from the beginning and you won’t need to retrace steps later, when your time is much more valuable doing productive things. First off thanks for the write up, it rocks. Now, I am brand new to the SEO/Affiliate game and would like to know if you are at liberty to share how you actually manage all of these accounts? What is the process or mechanism that you keep your various PBN’s updated with quality content without being hit? Are you or your team using specific proxies per “x” number of domains? I use spreadsheets and a team to manage the PBN. Randomly timed reminders betweem 2-5 months, promting my team to add new content. How about using Digital Ocean or Vultr, wrapping it in 10-20 cloudflare accounts? different NS, at the same time cheaper hosting? Where would the IP’s be coming from? Hey Matt, thanks for this, its a great read! Quick Q what is your top 5-10 Premium companies to use? Also can you explain this? Are you or your team using specific proxies per “x” number of domains? Yep. Check this graphic. The top 5 have the biggest portions. Matt nice article, PBN are so overwhelming for a beginner to understand it how to not screw up all the network and know what to do 80% sure. Hey there. Not sure I understand the question. Can you please clarify what exactly you are asking? Excellent stuff. I just bought 8 PBNs already done and was trying to figure out hosting solutions. What is the benefit to having a dedicated IP on one of the premium hosts? Isn’t that *more* of a footprint? Just want to make sure I follow. I’m not too big on dedicated IPs for PBN hosting. Kind of defeats the purpose of hiding in plain sight. A handful of superpowerful DA60+ sites will go on dedicated IPs. If you sign up for a premium host, can you just keep buying dedicated IP addresses and putting one site on each instead of signing up for a new hosting account each time? For example, if I owned widget1.com, widget2.com, widget3.com, widget4.com and widget5.com, could each be given a dedicated IP address on the same premium host and link to the same money site, or will that cause issues? Dedicated IPs are pretty rare in the real world. How would that look if your money site happens to have 100% of its links coming from sites with dedicated IPs? Few of my sites get deindexed after the new update do you think I can get them back after host three newly on a diffrent server or easy blog network. Actually, i can’t get the sites go all the sites have great metrics along with clean link profile, few sites have the link from businessinsider , Wikipedia, and HuffPost please advice. When a PBN of mine has the rare deindex, I simply throw them away. Thanks for this far-reaching article. Dedicated servers are great, but a little bit expensive. In fact, there are shared hosting plans, which still give people the security they need. For example, my hosting provider – BGOcloud, includes CageFS in all of their web hosting plans. So, in this case, shared hosting plans can be a good budget option. Sir, I would say this is the Great Article for PBN hosting. Thankyou for such an informative and impressive post. It helps me a lot, and so I am a newbie, so it’s me a lot more than anyone. Sorry, I never touch nor would I recommend SEO hosting. Thanks for writing something about pbn hosting. With a reseller account you will have to get dedicated ips if you want more ips. This is the case with Hosthgator. Isn’t this a footprint? Awesome content Matt! Learning a lot.. One issue I’m having now is finding a good hosting company that will freely give out IP’s for each website. Hostgator – Now they aren’t doing it either. I found one that I won’t mention but their reviews of late are absolutely horrible on the support side, but they do allow you to allocate an IP for every location. Any advice in light of these recent issues? I’m spending entirely too much time on this instead of prospecting clients! Thanks in advance. Keep up the awesome sauce. First of all congratulations and thank you for this successful blog which is really helping me a lot right now as I begin my SEO journey. Being an engineer myself, i take great pleasure in reading your advices based on research and evidence. Let’s say you have a Hostgator account and a Bluehost account. On each account you have 10 different websites, so that makes a PBN of 20 sites. Let’s also say you have 1 money site, hosted elsewhere or maybe on a different Hostgator/Bluehost account. 1) If i understand correctly, your money site may only get 2 links in total, because for each hosting the IPs are the same so you cannot use more than 1 PBN website. Is this correct ? 2) If I have multiple accounts on the same host (let’s say Hostgator), then can I have 1 link per account to my money site ? 3) If not, does that basically mean you can only have as many PBN backlinks as the number of different premium hostings ? (for example if there were only Bluehost, Godaddy and Hostgator, you would only be able to have 3 backlinks per money site). Hi Kent… you have it almost all correct, but the limiting factor is IP, not hosting diversity. The key is that you want all your in bound links coming from a variety of IPs. So what allows you to have a different IP other than using a different host ? Can you have multiple IPs in one account at Hostgator (or any given host), for example ? I have a few (4) sites all linking to my “money” site and all of these sites are on the same ip in the same reseller account (The money site is on a totally different hosting). each of these sites rank ok and get traffic of their own, but all also link to the money site…. so, im assuming this is a big no-no!…. can/should i now just start moving the linking sites from the reseller account into their own hosting accounts or is it too late…. That’s a big no-no indeed. Go ahead and move them now, its not too late. I know this is an old article, but i came here for some info. I’d just add that you need to use a different email for each cPanel setup. The reason is the reverse name/rname meta data is public. I would definintely say that’s safe, but what is the % of PBNs out of that 100k? I have a small PBN and manage it with a big Excel spreadsheet. All on different hosts, including premium hosts. When just starting out, do you recommend sticking to topically-related sites in the PBN? So, all “real estate-related”, for example. Right now mine is broken down into 2 main topics. I’m also reluctant to spin content, which I’m finding is very limiting. Yes. Definitely keep them niche’d down. The VPS is unncessary when registering and may as well be when you’re logging in too. Definitely put your PBNs on different hosts. I was very confused about hosting types. now I got something useful information. I have 14 domains I want to register, I don’t want others to know I own the sites. Can I still register it on the same server or under different IPs? You can register them under the same server/IPs as long as you have privacy and you don’t link to the same money sites from all of these. Hi Matt, thanks for the article, its really useful for amateur like me. Am following your suggestion to always use premium hosting, but when you said avoid who.is footprint do we still need that as the GDPR already launched and 3rd party cannot see the who.is information? I usually purchase the private domain registration for avoid that footprint, what do you think? Appreciate the advice. Thanks. Find out which hosts are the friendliest towards PBNs and fresh IPs. Learn which hosts are downright terrible to work with. Get the best deals on the best hosts.